“Andrew Egger is in his 3rd year in UCARE. He is working on a project entitled "To Determine the Function of DBA-Stab2 in an Atherosclerosis Model" in the lab of Associate Professor of Biochemistry, Edward Harris." "I am a senior biochemistry major from St. Charles, IL. I grew up in the western suburbs of Chicago and moved to Lake Worth, Florida shortly before leaving for college at UNL. I am the Biochemistry Club President and a BIOC 431 TA here in the Beadle Center where I spend most of my time. I enjoy rock climbing, camping, fishing and any sport you could think of." Every one of our students is making a difference. They’ve taken different paths to our major, and now they’re growing, together, as scientists. Our major is at the interface of several key sciences. You are trained in biology, chemistry, physics, and calculus. And your elective coursework comes from a variety of areas that match your interests and goals — that could include computers, business, psychology, or even art. Our faculty use a teaching style that emphasizes core concepts and actively incorporates teamwork, problem solving and project management skills into our lecture and lab courses. This means that our lecture courses involve active participation and allow for greater long-term retention of material than traditionally taught courses. We also focus on providing research experiences both inside and outside the classroom. 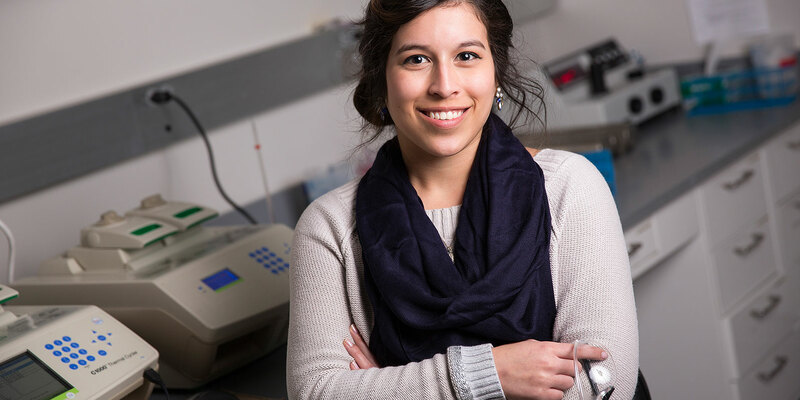 In addition to on-campus jobs in faculty labs, we offer three lab-based courses that provide hands-on exposure to highly technical instrumentation and the opportunity to work on unique novel DNA sequences. If you want to prepare to become a doctor, develop alternative energy sources or discover new cures for disease, join us. Biochemistry is offered through two colleges at the University of Nebraska-Lincoln. Our major requirements are the same and are all taught on city campus, but the college distribution requirements differ. For more information, contact the Biochemistry Advisor about which choice might be right for you. During your first semester at Nebraska, we help you explore biochemistry through an engaging, one-credit introductory course. You learn about careers and basic biochemistry concepts, identify study groups, and connect with friends you will have for the next four years.